Ok, that is a totally misleading title. This is a little video that HoChie Tsai of TaiwaneseAmerican.org put together of his trip to Hollywood & LA a week or two ago. He was nice enough to have me tag-along to a few of the events, so he got a few rare glimpses of Joz on video. AYCE KBBQ. Beef and pork galore! AYCE KBBQ. 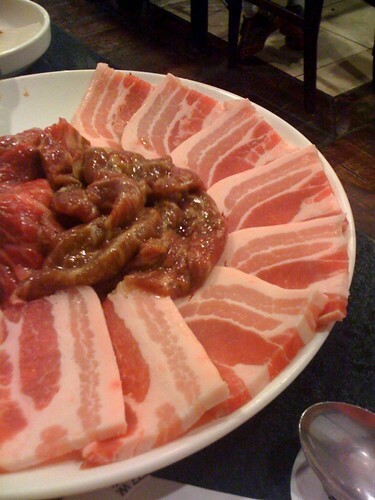 Beef and pork galore!, originally uploaded by !!! :: jozjozjoz :: !!!. Dinner with Dan D. Then Scoops afterward! The jozjozjoz.com archives for Tuesday, June 23rd, 2009.